You can only cram so much vocabulary into your cranium. 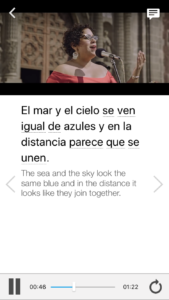 Language savants might be able to sit down and memorize the entire Spanish dictionary, but us mere mortals learn better when lessons are structured around a common theme. One of the biggest themes you can work around is your career. Any professional field has its own jargon and required vocabulary. This is just as true in Spanish. Knowing the Spanish words for industry terms may help you land a job, communicate effectively with other workers and, in some cases, it can even keep you safe. Whether you’re trying to get a job in a specific industry or you already have one and wish to expand your Spanish skills to the workplace, you’ve come to the right article. In this post, we’ll share seven industry-specific Spanish learning books that are helpful for workers, learners and people from all walks of life! 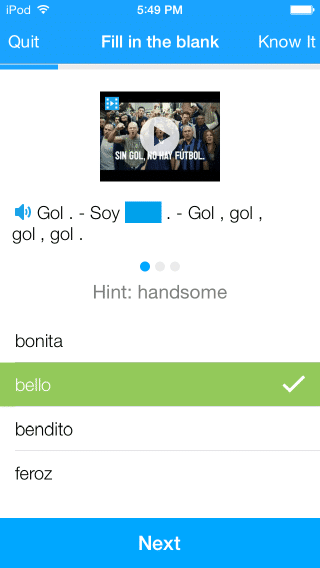 If you’re learning Spanish for use at your job, basic Spanish textbooks might be too general for your needs. Industry-specific books provide a more focused and guided manner of learning centered around your purpose: to improve for your career. These phrase and vocabulary books exclusively focus on the words and expressions used in a particular line of work. They’re often written by experts in their fields who know what knowledge you’ll find most helpful. One note, however: Some of these books require a basic knowledge of Spanish grammar and vocabulary. 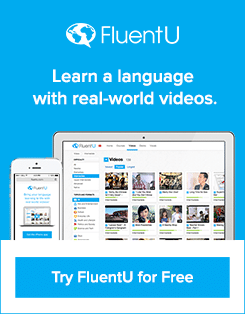 There are many excellent Spanish books for learning the language, but if you’re tired of looking at nothing but printed word all the time, we have the perfect alternative (or supplement) for you: FluentU! Once you feel that you have a good start on the basics of Spanish, you can dive right into any of these seven fantastic career-specific Spanish books. Latin used be a universal language among the European educated and these days, English is regarded as the international language of business. While these are both facts, the true universal language is money. 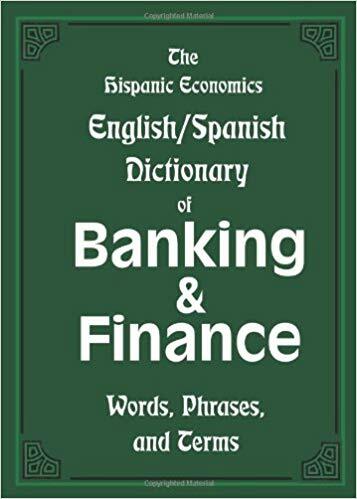 This book contains more than 2,300 words and phrases related to the banking and financial industries. It’s designed to be used in either direction. 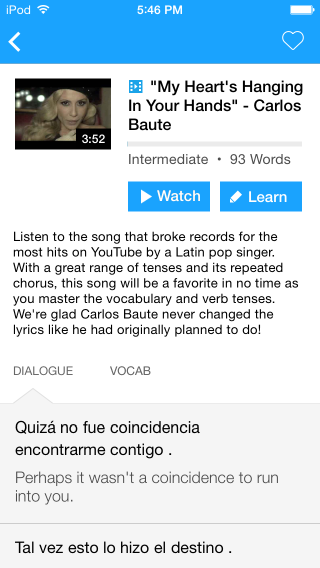 That is, for English speakers who are learning Spanish or for Spanish speakers living in an English-dominant country. Considering the growing Spanish-speaking population in the US, speaking Spanish in this field will make you indispensable to your employer and clients. 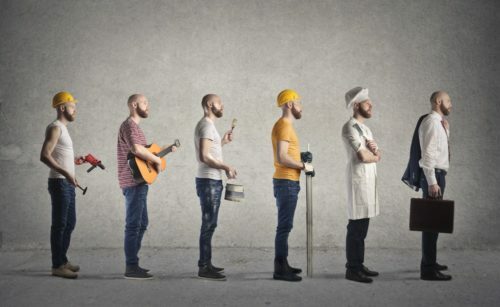 Do you dream of starting your own business? Want to make a big splash in both the Spanish and English business worlds? Look no further than this book. The business world requires professionalism, class, smarts and a more professional manner of speaking than everyday Spanish. This book was designed for Spanish and English speakers alike who want to maintain and increase their fluency in business Spanish. It’s organized like a dictionary of business words, and includes their translations and a thorough explanation of how to use them. Each entry not only explains the definition of a word but also places it in a business context. 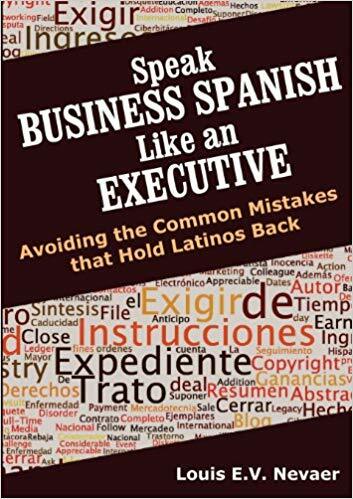 The book also points out common mistakes even native Spanish speakers make when using certain vocabulary in a professional setting. 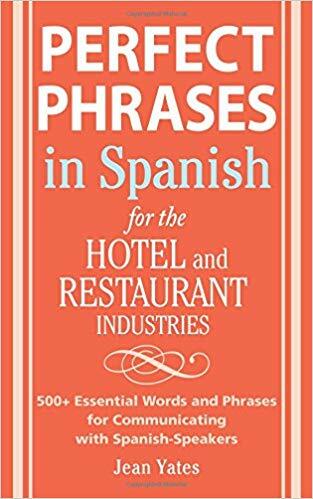 To make the best of this book, you’ll need an intermediate to advanced level of Spanish, since it’s assumed that you already know most of these words in their everyday context. That makes it perfect for those who’ve already learned conversational Spanish and now wish to apply it to their businesses or professional careers. The industry that builds homes, businesses, roads and the rest of the country’s infrastructure is also one of the most multilingual. When you’re working in construction, tools and building methods might be the same no matter what the language, but communication isn’t. On all building sites, communication is vital for safety and if the crew members don’t speak the same languages, it’s a recipe for disaster. 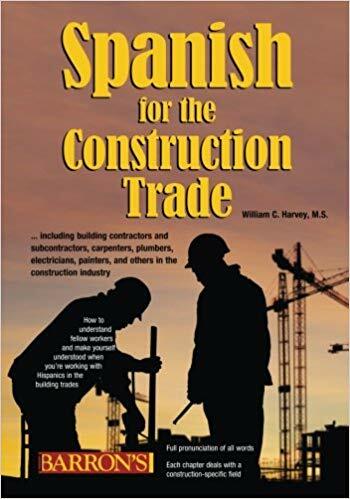 Harvey’s book was specifically written for all manner of construction and trade professions in a digestible format that not only includes technical and industry-specific phrases and vocabulary, but also situational examples on when to use them. Author: Joanna Rios, et al. While safety is important when you’re working on a job site, communication is even more vital when you’re working in the medical field. One of the scariest things is to be hurt, in pain and in a hospital where no one can understand you. Learning Spanish is nearly a must for medical professionals, especially if they live in areas with large Hispanic populations. Not only does speaking Spanish increase their hireability, it also relieves patients’ stress, fear and confusion, which can contribute to the healing process. McGraw-Hill is a reputable textbook publisher and is known for quality materials. 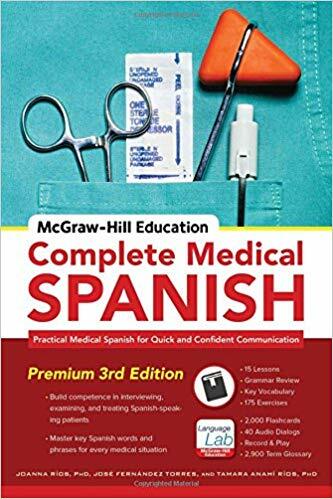 This practical medical Spanish guide features key vocabulary, terminology and dialogue with situational examples. Not enough for you? 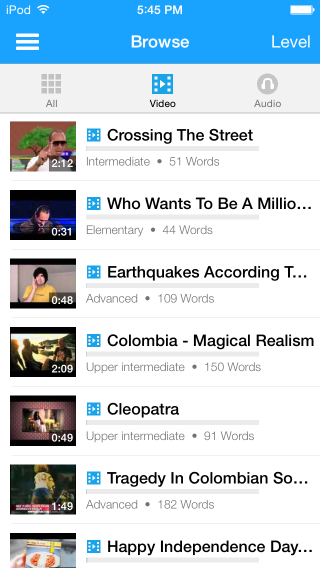 You’ll also get access to flashcards, a progress app and audio recordings so you can hear the words being used. The book covers nearly every medical field imaginable, from general terms about symptoms, to dentistry and even obstetrics. No matter your area of expertise, you’ll find this book useful. Even better, this book teaches Spanish grammar basics from scratch! Which means that, although it’s definitely helpful, no prior knowledge of Spanish is required to learn from this book. As a law enforcement official, it can be difficult and dangerous if you can’t communicate with people to do your job. Just like the business world, the world of law enforcement requires a specific language. Dees David is a professional Spanish instructor who teaches police, firemen and other emergency responders. His expertise is poured into this guide, so you’ll reap the rewards of quick and safe communication, situational vocabulary, pronunciation keys and cultural notes on Hispanic communities. The book contains over 2,000 words and phrases you might encounter in the line of duty and some sample scenarios presented as dialogues that you’re likely to hear in the real world in this field. It begins with basic Spanish vocabulary, like time expressions, seasons, physical descriptions and other conversational Spanish words. It then delves deeper into the more industry-specific terminology, covering topics like traffic violations, theft, drugs and alcohol, weapons and more. 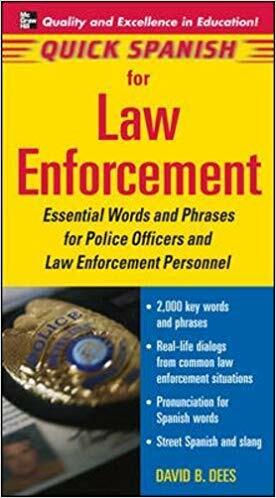 It’ll give you the tools you need to navigate potentially hostile or uncomfortable situations, and is a must-read for any law enforcement worker who frequently comes into contact with people more comfortable speaking in Spanish than English. As with many of the other industries listed here, speaking Spanish is a great way to earn your clients’ respect as well as advance your legal career. As anyone who’s come into contact with the legal industry in any form knows, it can be difficult to understand the legalese even if you speak fluent English. 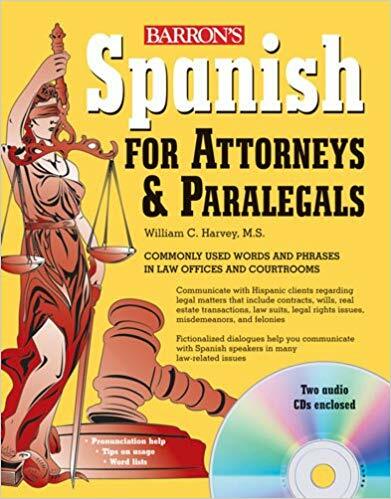 This book will introduce you to the correct Spanish words and terms to use in the courtroom or your legal practice. It contains Spanish legal vocabulary, a pronunciation guide and audio CD with real-life dramatization. With this book, you’ll learn basic knowledge like what different parts of the courtroom are called, as well as more specific industry vocabulary like laws surrounding business, real estate, finance and even criminal proceedings. The book does cover some basic Spanish grammar and starts off with simpler terms and phrases, then gradually ramps up the difficulty. 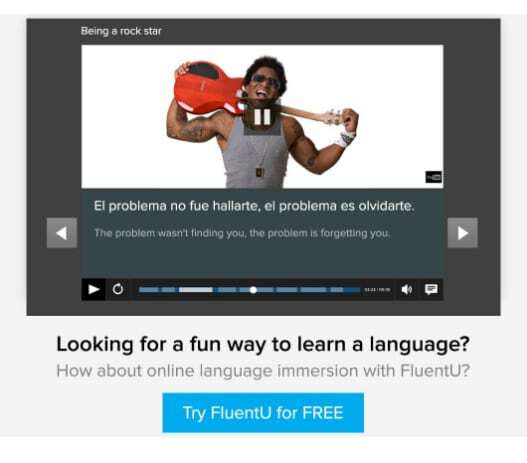 However, a high-beginner to intermediate level of Spanish is recommended for optimal use of this resource. While there are many Spanish guides for tourists, what about people who work in the service and tourism industry? If you’re bilingual in the tourism and service industries, you can be sure that it’ll increase your tips. Yates’s book is essential because it contains over 500 useful phrases and expressions, plus a handy pronunciation guide. This resource will teach you the essentials not just of working in a hotel, but also of running one! Every aspect of a hotel’s smooth operation is covered here, including hiring employees, getting the laundry and kitchen working, policies and safety, general maintenance and even more! It also includes sections on making any guest’s stay at your hotel more comfortable like small talk basics as well as days and time vocab for accurate booking. This resource truly is a comprehensive guide to running your own hotel, although anyone who’s currently working or wants to work in the industry will find it useful. As with most of the books on this list, a basic-to-intermediate understanding of Spanish is necessary for getting the most out of it. Being able to speak industry-specific Spanish is indispensable for your career, clients, co-workers and employees. Use these books as lesson plans for focusing on real-world, practical Spanish!